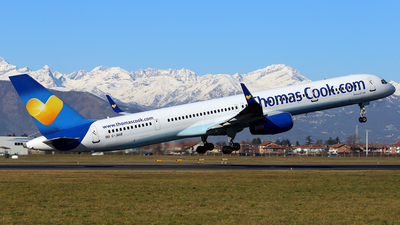 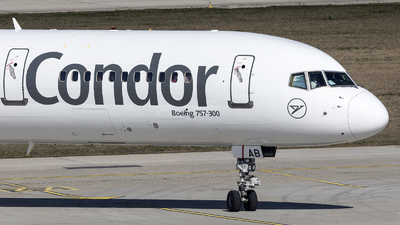 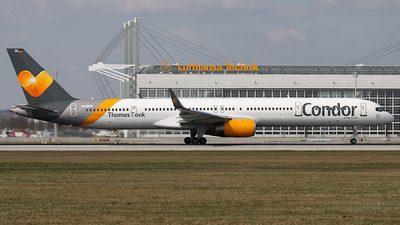 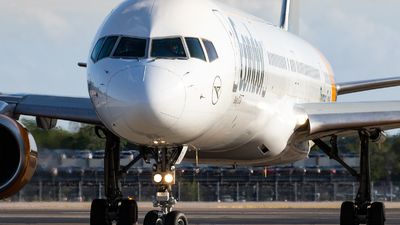 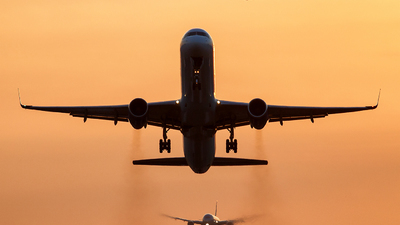 Note: Flight TCX4804 to Frankfurt (FRA/EDDF) departs runway 08R. 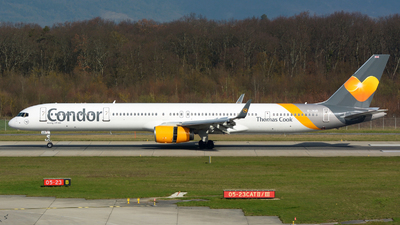 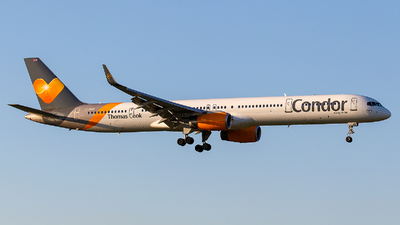 Early rotation for this positioning flight returning to Germany after 3 days of operations for Thomas Cook UK. 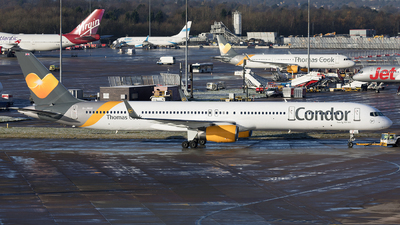 Note: TCX 757-300 departing early morning from Gatwick with some heavy vapour clouds over the wings. 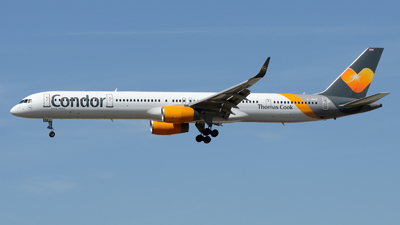 Note: Great V1 rotate of flight TCX 1043 departing to LGW in a sunny Sunday morning! 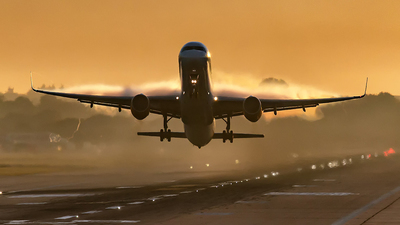 What a stunning background! 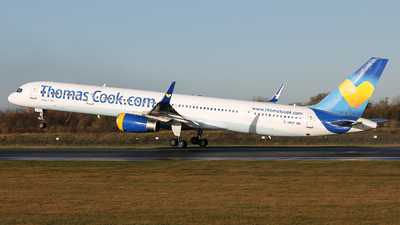 Note: Just out of the paint shop, in the Condor (Thomas Cook) livery, 'Alpha Bravo' is pictured being towed to a remote stand. 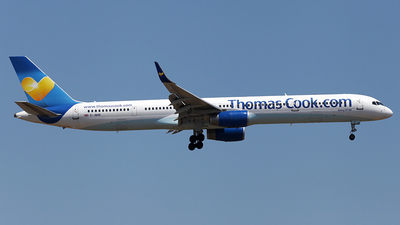 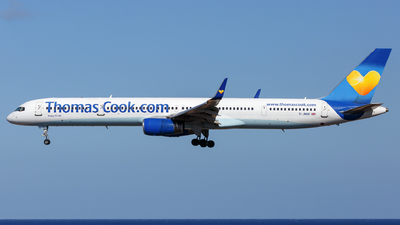 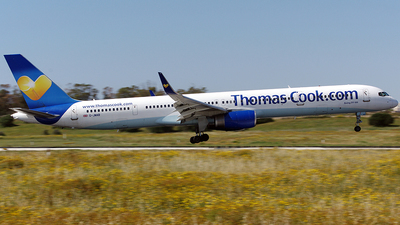 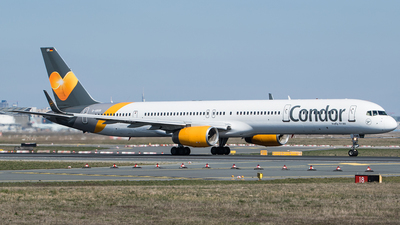 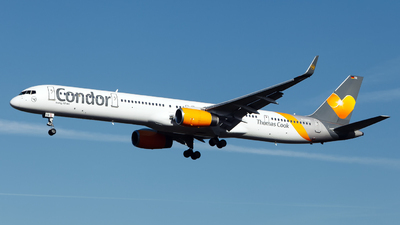 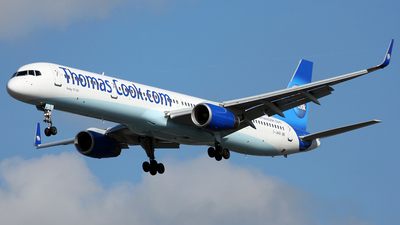 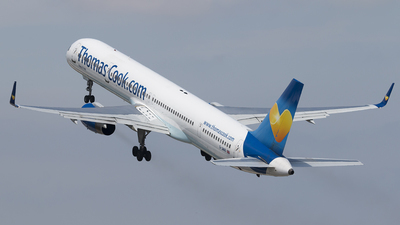 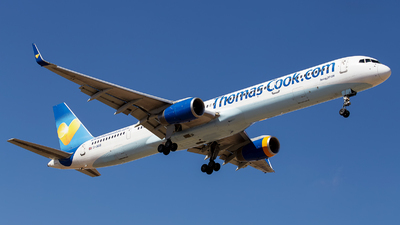 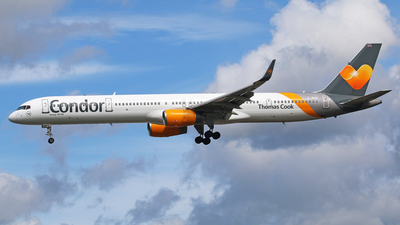 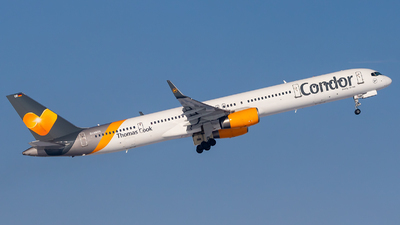 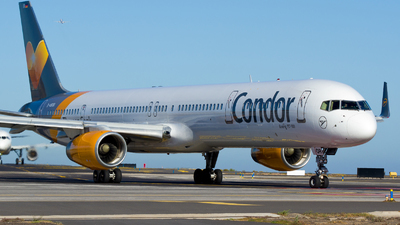 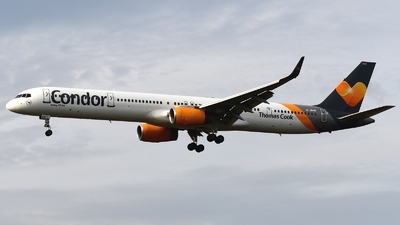 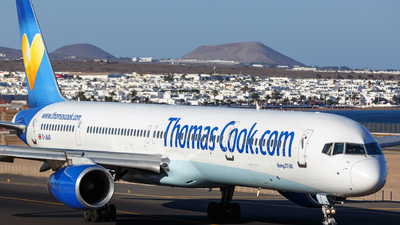 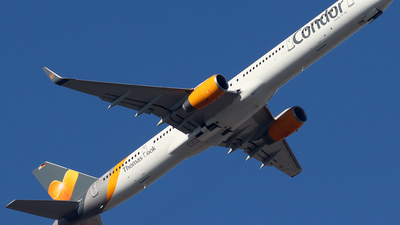 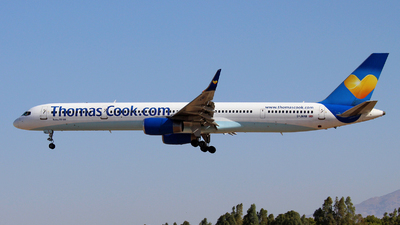 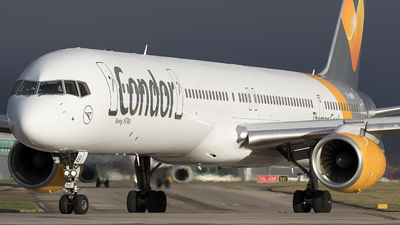 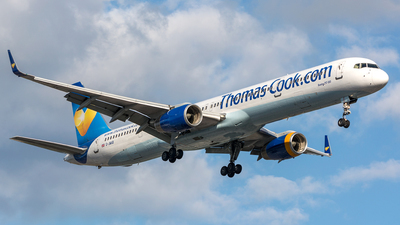 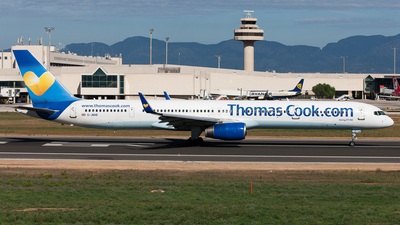 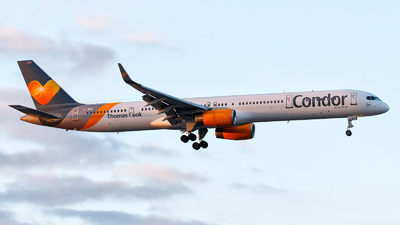 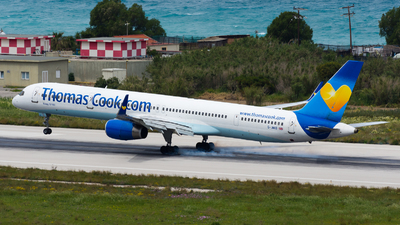 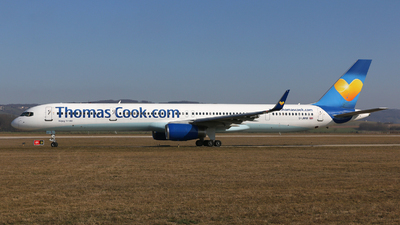 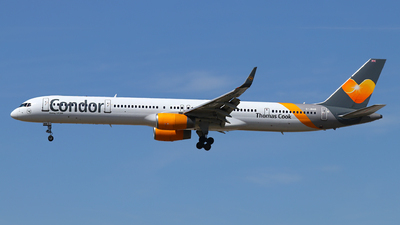 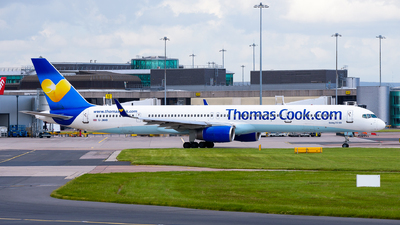 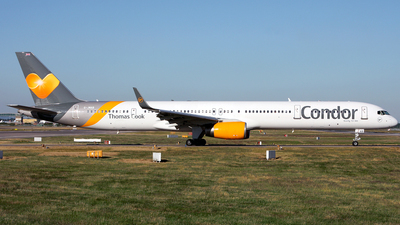 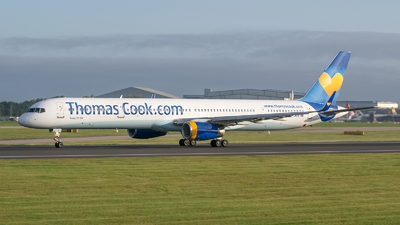 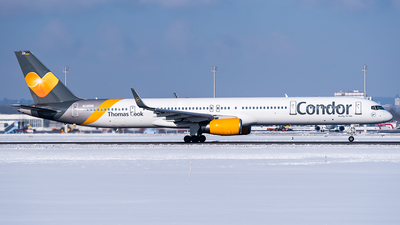 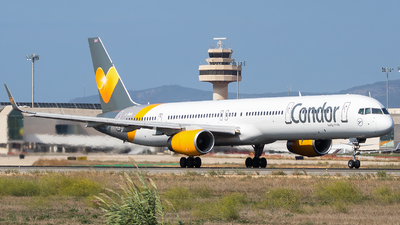 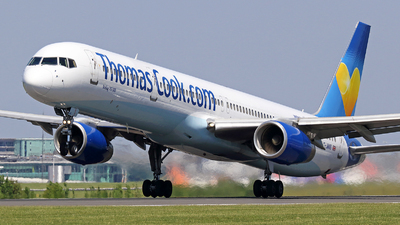 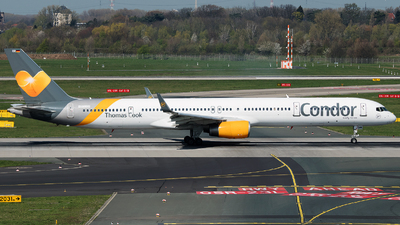 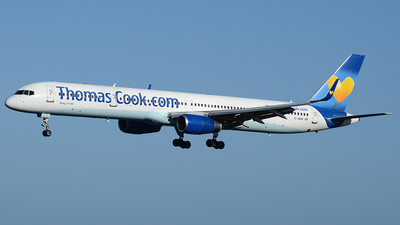 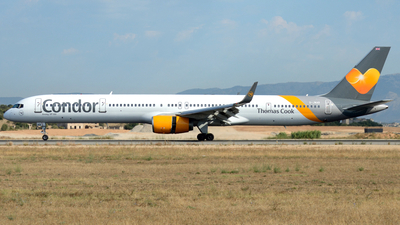 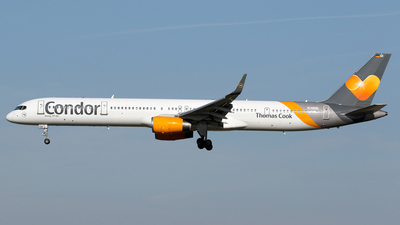 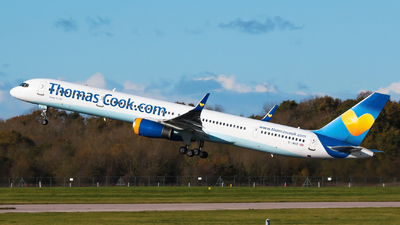 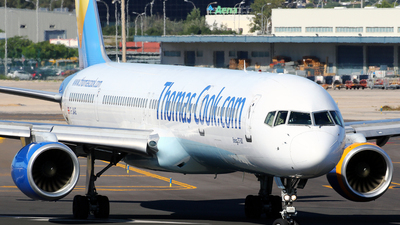 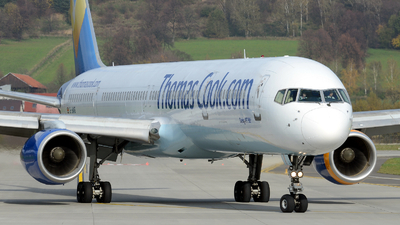 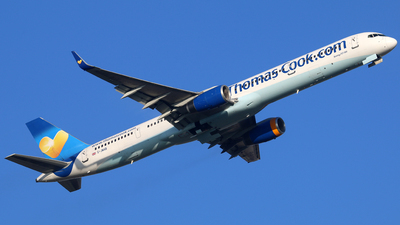 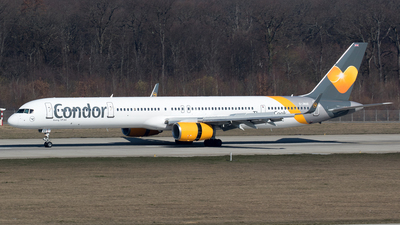 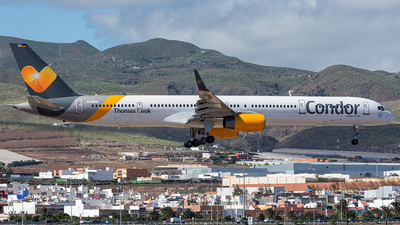 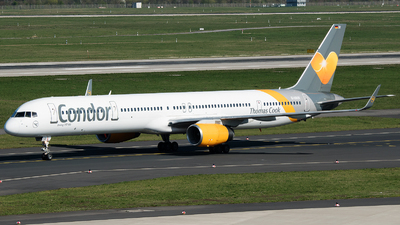 Note: This year, for the first time, Thomas Cook are using 757-300s into LEI; AA & AB from LGW and the ex-Condor aircraft from MAN. 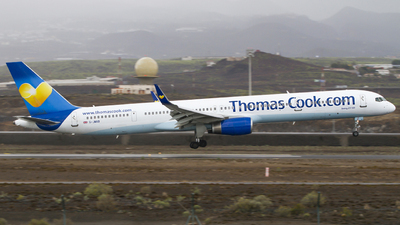 Note: Rotating out of Runway 31.